Renato Sanches is part of a very strong generation of Benfica players born in 1997. He won almost every most important title with “The Eagles” youth teams and already made his debut for Benfica B – team that currently plays in Segunda Liga, which is the Portuguese second level football league. He has been described “the new Ronaldinho” by certain fans and observers in Portugal. At the moment he is a central figure of Benfica U-19 team, that plays in prestigious UEFA Youth League. 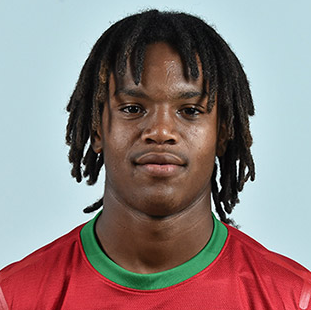 Renato represented the Portugal national youth football team on U-15, U-16 and U- 17 level. He was with Portugal U-17 side at UEFA European Under-17 Championship 2014, in which they made it to the semi-final, but got knocked out by eventual champions – England.